There is no denying that the Hyundai Creta (ix25) is one of the most anticipated vehicles of the year. It will enter the compact SUV segment, which is growing at a dizzying pace, and fields cars like the Renault Duster and Nissan Terrano. This is Hyundai’s second all-new product this year, after the i20 Active crossover. As far as the Creta’s launch is concerned, it is likely to be launched by August, 2015. 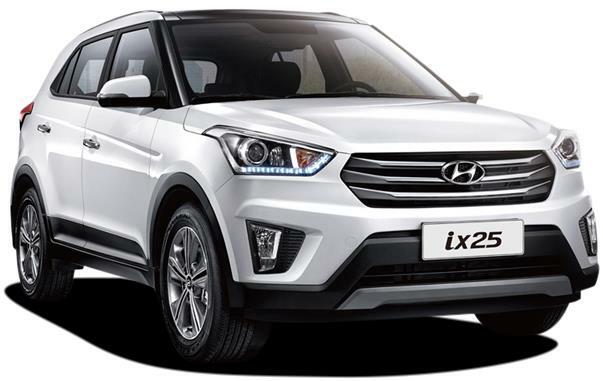 Hyundai has unveiled the much-awaited all-new compact SUV called the Hyundai ix25 (Creta) at the Beijing Motor Show in 2014. The SUV is intended for sale in the Chinese market initially and it is speculated that it will be available in the Indian market by the mid of 2015 but no official announcement has been made till now. The company said that it will serve as a combination of ‘inspiring, intelligent and innovative’ characteristics for the youth. This SUV is based on the similar concept of Hyundai ix35. The SUV has a different and more prominent, hexagonal shaped front grille design than its sibling ix35. The wrap around headlight clusters and the aggressive lower air intakes that houses the front fog lights, enhances the beauty of this SUV. The Hyundai Creta features a sweptback headlamps with LED daytime running lights, a silver skid plate, a large bumper, alloy wheels and a set of fog lamps. The rear end has a spoiler with integrated brake lights, wrap-around taillights and a large bumper with two inserts. The side profile of Hyundai Creta is designed in such a way that it looks more muscular and larger than ix35. 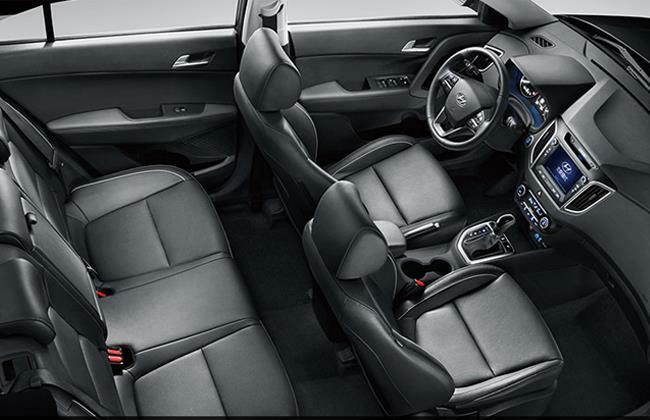 The interiors of this SUV has not been disclosed but it is expected to have the same interiors of its sibling ix35. The car would be featured with a part of leather interior, heated front and rear seats, ESP stability control, panoramic glass sunroof, rear parking sensors, remote center locking, AC with climate control, remote fuel filter and boot, rear defogger, auto viper, rear armrest with cup holders, electrically fold-able door mirrors, driver seat adjustments. The steering wheel can be mounted with audio, blue tooth and phone controls. There could be an added convenience of a music player with a USB port, MP3, DVD and Aux-in support. The SUV has a length of 4270 mm, width of 1780 mm and a height of 1630 mm as its dimensions. The car can accommodate a relative five easily. The Hyundai Creta is expected to be powered by the 1582cc, CRDi diesel engine which will generate a maximum power of 126 Bhp @ 4000 rpm and a maximum torque of 259.87 Nm @ 1900 rpm (or) the 1591cc, petrol engine which will produce a peak power of 121.4 Bhp @ 6300 rpm and a peak torque of 154.94 Nm @ 4200 rpm. Both the engines would be coupled with a 5-speed/6-speed manual gearbox. The compact SUV would have disc brakes at the front and drum brakes at the rear. The Hyundai Creta has an extended wheelbase of 2590 mm that will protect the under body from damages in rough and tough conditions. 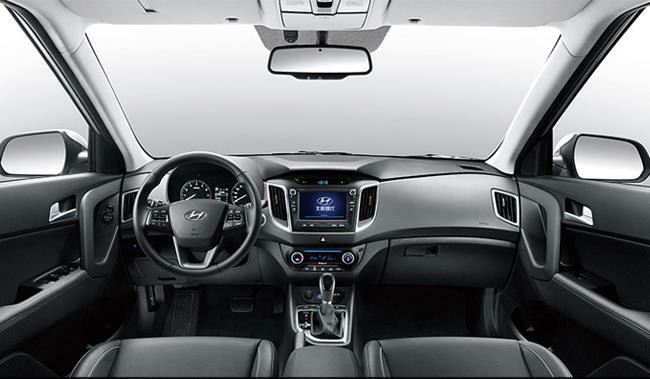 The Hyundai Creta would be featured with an optional airbags, parking sensors, fog lamps, Anti-Brake locking system (ABS), EBD, engine immobilizer and rear seat belts, all for the safety of driver as well as passengers. The expected price of this compact SUV is around INR 8.5-11.0 lakhs (ex-showroom, Delhi), may vary. 5. The Creta will most likely be offered with all of Verna’s 4 engines i.e. 1.4-litre petrol & diesel and 1.6-litre petrol & diesel.